Home Boxing Manny Pacquiao vs Marcos Maidana Before Mayweather? Manny Pacquiao vs Marcos Maidana Before Mayweather? There's a lot of comentary about Manny Pacquiao vs Marcos Maidana before the most awaited Pacqiuao-Mayweather or Maidana Mayweather 2 fight. Well' as we know this two boxers are well known and has a incredible career in boxing. 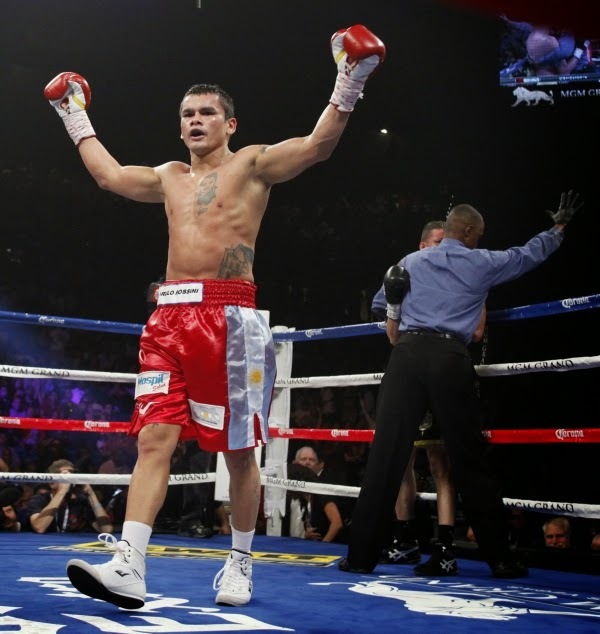 Marcos Maidana a former WBA Welterweight Champion and has a power to knockout any of his opponent, while Manny Pacquiao is a former eight time division champion and the current WBC Welterweight Champion has the complete skills (power, speed, experience and footwork). About their record Maidana has a (35W(31)KO-4L) will fight the Fliipino pride Manny Pacquiao (56W(36KO)-6L). If ever this fight happen. Who will win? Who will reign and who will fight the Top P4P boxer in the world Floyd Mayweather Jr. When we look on their background career Manny Pacquiao is the better fighter, the achievements, the legacy, and the records, all Manny has it. But don't understimate Marcos Maidana, Maidana never back off on any opponent, he defeated a lot of hard hitting boxers including Broner, Ortiz, and more. This boxer can knockout Manny Pacquiao in one punch. This might be the problem or concern of Manny Pacquiao since he was defeated by powerful knockout punch from Juan Manuel Marquez last June 2013. As this fight is not yet confirmed. We can say Pacquiao can win by both knockout or decision, but Maidana has the power to knockout the old Manny Pacquiao any time. This fight is a 50-50 for me. No one can say who will win but as i know "no one lose in this kind of fight" nothing to lose for both fighter.